At Doup Family Farms I began milking cows two nights a week and whenever needed. I also help feed calves several times a month as the farm is growing. Working at the farm has given me a new appreciation for the value of hard work and responsibility. Having left Foster's Pharmacy on good terms, the small business asked if I would be interested in returning once my extended internship at NECIC was complete. I gladly accepted and returned to my duties where I assisted the pharmacists in billing and filling patient prescriptions and customer service. Working with the drugs I was able to use my education to understand mechanistic pathways as well as why certain drugs are prescribed. 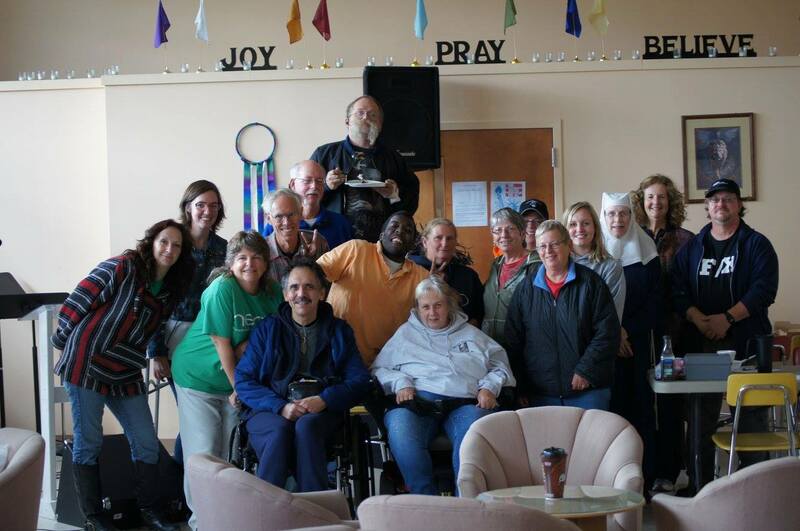 North End Community Improvement Collaborative was a local non-profit agency which had the mission of improving the quality of life for residents in the the North End community of Mansfield. This location was once a thriving industrial city until economic hardships forced factory and business shut downs taking its toll on the community. My focus was to increase fresh food access in the community, which is a USDA defined fresh food desert, by providing a farmers market with items from local gardeners. The market also allowed local bakers and crafters to sell as independent economic development was also a goal for the market. Our market was able to accept and double SNAP benefits and also accepted Farmers Market WIC. During my time here my duties included, but were not limited to, getting the word out about the market across the community via speaking at food pantries, local events, free meals, and press releases. I was also in charge of contacting current and potential vendors, volunteers and demonstrators, kids programs, gathering supplies, making flyers, writing market reports and board summaries. 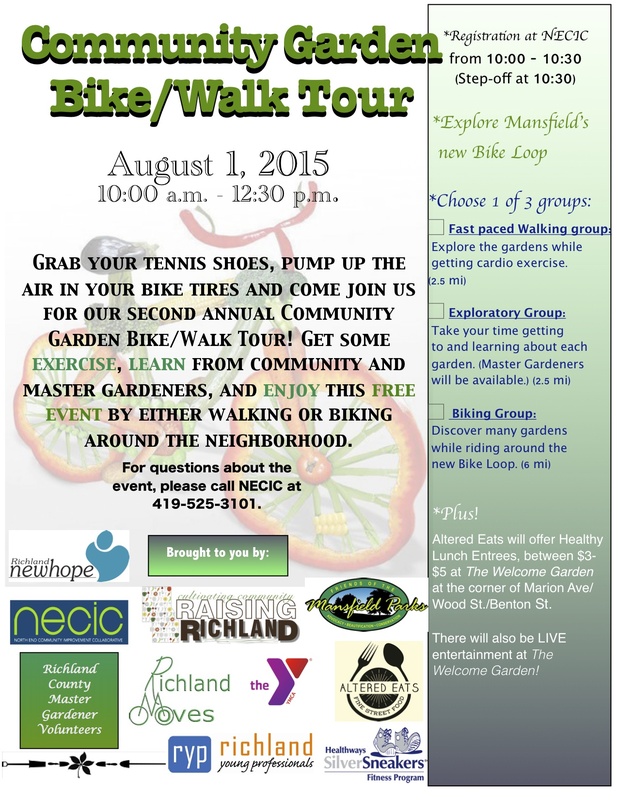 I also helped organize the August Community Garden Bike/Walk Tour where participants explored various community gardens associated with NECIC, co-taught a Guide to Canning and Preserving Class, and participated in many other events which were sponsored by NECIC. I continued to volunteer at the North End Farmers Market in the summer of 2016. As an Office Manager at Mohican Sports Medicine, my duties included, scheduling appointments, gathering and organizing paperwork, purchasing office supplies, customer service, providing home health agencies with appropriate paperwork, cleaning and assisting the therapists in any way I could. Always having an interest in healthcare, I decided to return to school to complete my dietetics degree which unfortunately led me to have to terminate my employment with the company due to the demanding course requirements. As a full-time pharmacy technician, my job was to provide customer service and assist the pharmacists in billing and filling prescriptions. I was also in charge of our stores Automatic Refill Program which allowed for customers to easily and conveniently refill their medications in a timely manner. I enjoyed my time at Fosters. however I left because of a new position as an Office Manager at Mohican Sports Medicine which provided better pay and benefits. My time at Fosters made me appreciate the importance of healthy living as well as help me understand the importance of nutrition education. Dietetics was always in the back of mind after this realization, however personal circumstances delayed my ability to pursue the career. 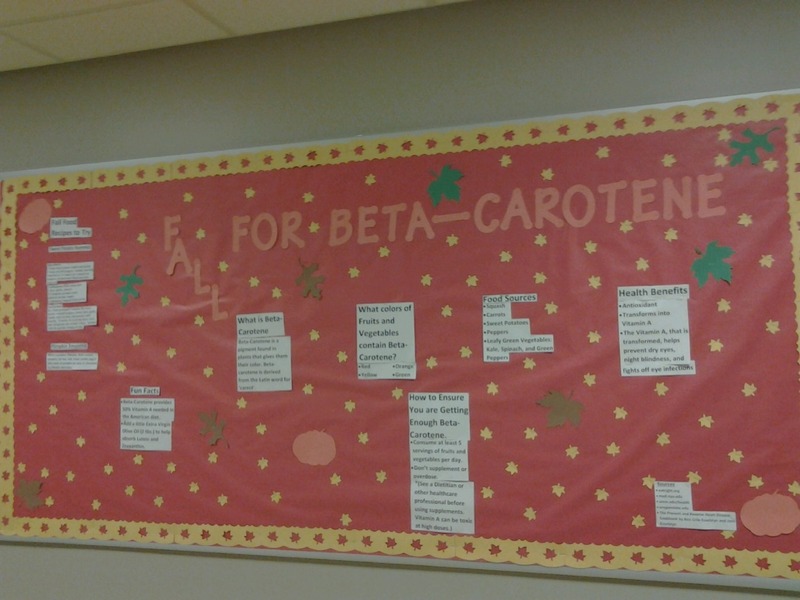 I have been an active member of the Student Dietetic Association since Fall of 2014. I participate in the Public Relations Committee and I also write quarterly articles for our schools Nutrition Newsletter. 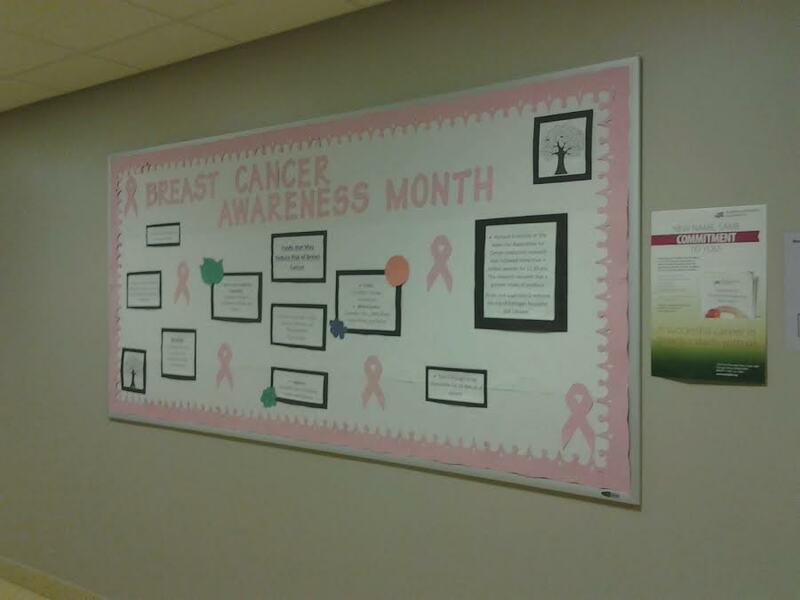 The Public Relations Committee is in charge of a monthly bulletin board for the students and visitors of Ashland University which includes information and tips about that months featured food theme. I often do the research and provide information which is displayed on the board as my work/personal schedule does not usually allow me to help hang the board. Posted below are examples of boards that I helped research and design. Our newsletter is published quarterly in which have written articles for since Spring of 2014. Some examples of my/our work are posted below. Assisting Pharmacists in customer service, billing insurance companies, filling and billing patient prescriptions. 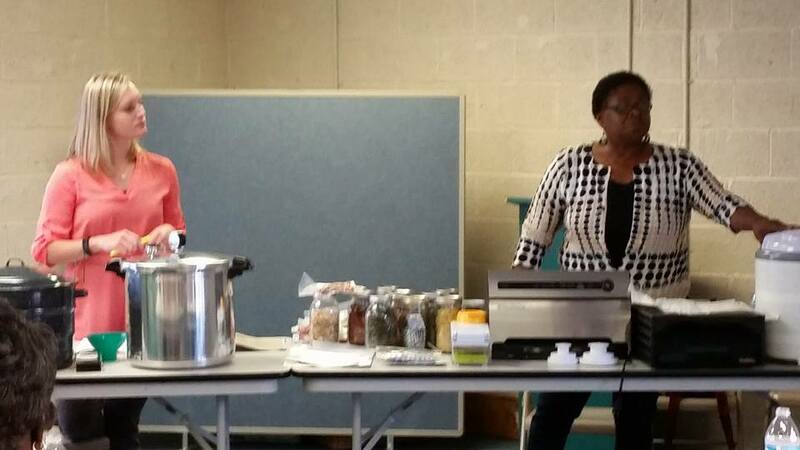 In July of 2016, I participated Farmers Market WIC classes held by Ashland / Richland County WIC Dietitian, Autumn Sweet. These classes were designed to teach participants the value of healthy eating as well as demonstrating how Farmer Markets WIC users can utilize their coupons at the local farmers markets. 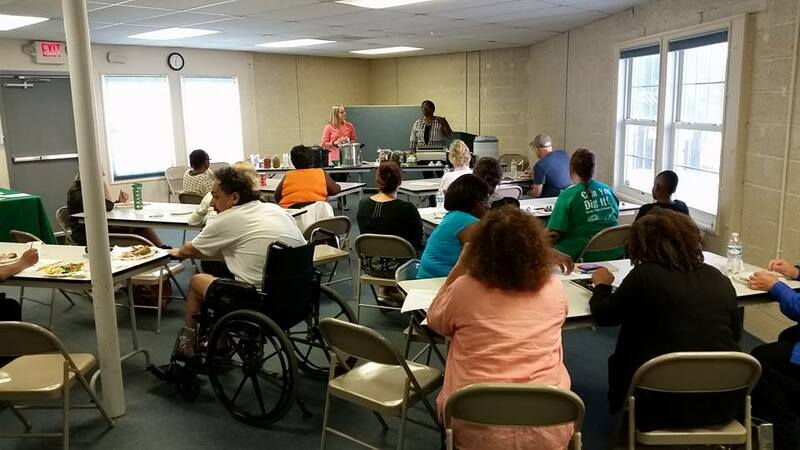 I taught the freezing fresh produce portion at each of the four classes that were offered. 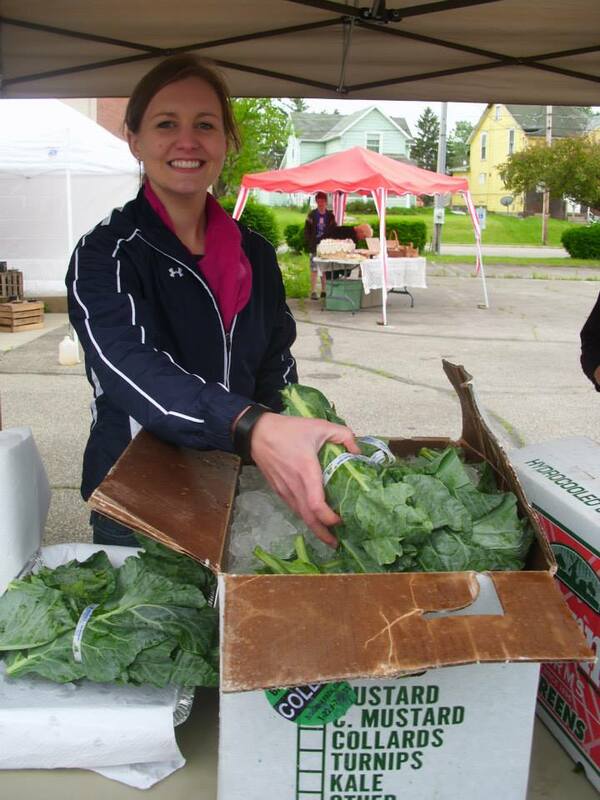 Due to a great internship experience, excellent connections and again wanting to be a part of improving the health status of Mansfield residents, I continued to participate in the North End Farmers Market by volunteering when possible during the summer months of 2016. 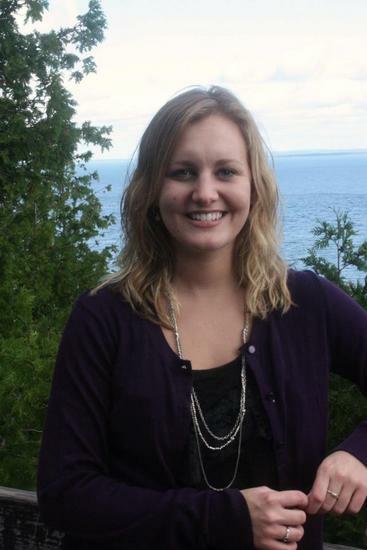 I recently attended the Giant Eagle Supermarket Student Dietetics Conference held in Strongsville Ohio. At this conference where I and 40 other students from around Ohio became familiar with the daily tasks of Food Service dietitians. We also were given duties to perform as well as presented demonstrations based on our tasks. At the end of the program, we were given a certificate of completion as well as awarded with eight shadowing/volunteering hours. During my internship at NECIC I was in charge of Press Releases, and public outreach. I wrote articles for the paper, NECIC newsletters, and attended food pantries, free meals and organization meetings to inform about the farmers market. At each of my healthcare related jobs I participated in medical billing. In all of my work experience my main focus was to help the customers and making the customers happy. At Foster's Pharmacy and Mohican Sports Medicine I was able to enhance my strong organizational skills because of the multiple tasks I would be completing at one time.